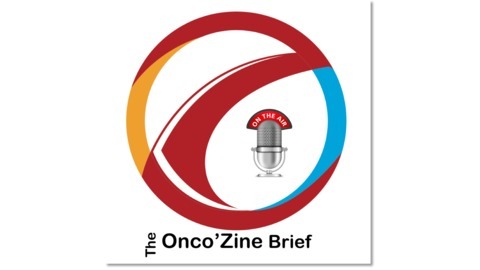 The Onco'Zine Brief is an interview and discussion program presented by Peter Hofland, Ph.D and Sonia Portillo, B.Sc, covering a broad range of topics and timely news updates with information from all oncology disciplines and sub-specialties from around the world. 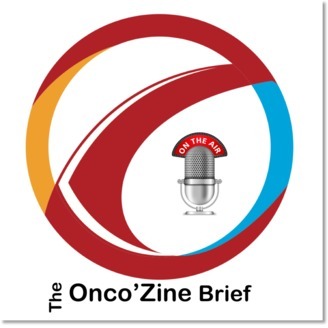 The Onco'Zine Brief is a sponsor-supported, program for healthcare professionals involved in the management and care of cancer patients as well as cancer patients and their family and friends. In this edition of The Onco’Zine Brief Peter Hofland talks with Padma Sundar. Ms. Sundar is Vice President of Strategy and Market Access at CellMax Life, a company developing a simple blood test or liquid biopsy for cancer screening. The company is using a proprietary technology for detecting pre-cancer and cancer cells in a single blood sample. Together with a team of experts across multiple disciplines, including pre-cancer and cancer cell capture and imaging, algorithm development, biostatistics, and development and commercialization of clinical grade tests, CellMax Life is developing a liquid biopsy for the detection of colorectal cancer. The benefit of liquid biopsies is that they are non-invasive and require only a small amount of blood. The biggest benefit of these tests is that they help detect disease and disease progression early, long before this may trigger clinical symptoms. One of the applications of CellMax Life’s product is in Colorectal Cancer. According to the American Society for Gastrointestinal Endoscopy, colorectal cancer is the second leading cause of cancer-related death in both men and women the United States. Each year there more 150,000 people who hear that they have been diagnosed with Colorectal Cancer These new cases require an estimated US $14 billion dollar spent on treatment each year. But most cases of colorectal cancer can be prevented with proper screening, early detection, and removal of precancerous polyps. Colonoscopy is considered the gold standard of colorectal cancer screening. The reason is that a colonoscopy allows a doctor to view the entire colon, and both detect and remove polyps during the same procedure. Unfortunately, recent data shows that less than 40%, of people undergo a Colonoscopy. And more importantly, approximately two-thirds of the Americans aged 50 - 75 years of age is up-to-date with Colorectal Cancer Screening. That leaves one-third of Americans who are not. This is an estimated of 23 million people. Researchers have long been looking for a simple blood test to help them diagnose colorectal cancer. And earlier this year, CellMax Life presented new findings at the American Society of Clinical Oncology’s (ASCO) Gastrointestinal Cancer Symposium, indicating that their blood test, based on their proprietary technology, can detect pre-cancers with close to 90% accuracy. CellMax Life's blood test isolates and analyzes both circulating tumor cells and cell-free DNA from a sample of blood to detect six types of analytes, including four classes of genomic mutations, microsatellite instability, and circulating tumor cells. The results of the study show that it is possible to accurately differentiate between healthy patients and those with pre-cancer. Further, an increase in cell count was significantly correlated with an increase in disease severity. And while a colonoscopy remains the Gold Standard, these results are exciting, because for the very first time patients who are reluctant or unwilling to undergo a colonoscopy, may have a potential screening alternative - a highly sensitive non-invasive testing option for pre-cancer.